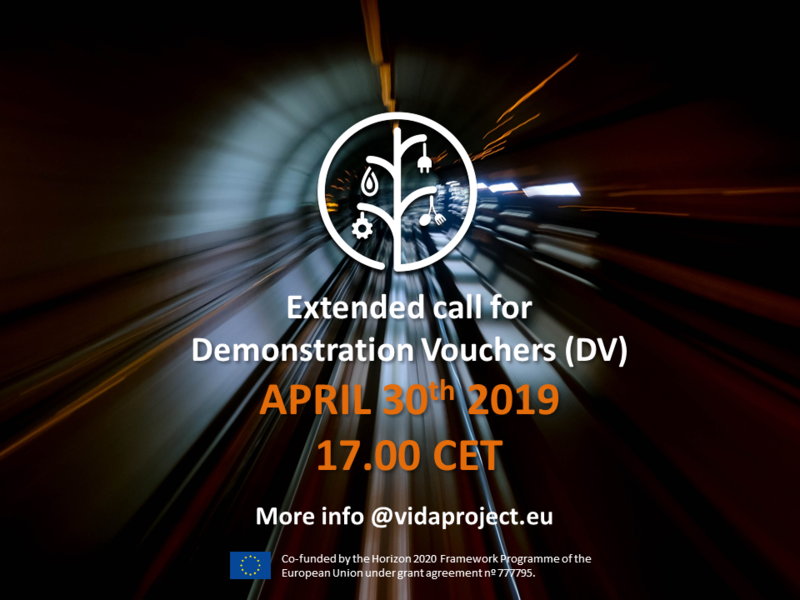 The Demonstration Voucher (DV) provides financial support to small and medium-sized enterprizes (SME) in the food, water, energy or KET-sector to fund the demonstration of innovative solutions towards resource efficient food processing. The Demonstration Vouchers (DV) are meant to address one common challenge of minimizing resource consumption in the food chain. DV provide financial support to SME from the food, water, energy or KET-sector to fund the demonstration of innovative solutions in practice. The aim of the DV is to assess diverse, new solutions provided by innovative SME for the common challenges within one related project in the food-chain. The DV offers consortia of minimum two SMEs an opportunity to demonstrate new solutions towards a resource efficient food production on site of a ‘prospective user’, i.e. a company from the food production and processing. The challenges VIDA aims to address are described on the VIDA website and will be udated in the course of the VIDA project. Key enabling technologies (KET), i.e. microtechnology, nanotechnology, industrial biotechnology, advanced materials, photonics, and advanced manufacturing technologies provide diverse potentials to tackle the challenges of minimizing resource consumption. DV supports in particular demonstration projects that are based on such KET solutions. Learn more about VIDA Demonstration Vouchers here. VIDA Webinar: Demonstration Vouchers. Aquaculture.